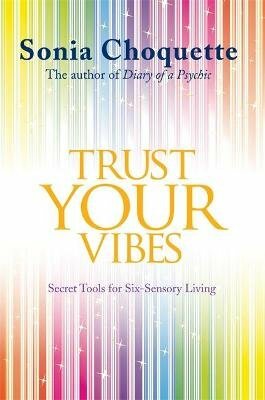 In this fascinating and informative book, Trust Your Vibes, spiritual teacher and psychic Sonia Choquette reveals the secrets you need to awaken your intuitive voice and .... Trust your vibes. Sharing real-life stories of those who've learned to tap into this sixth sense, you see first-hand how people have drastically changed and improved their lives. Be motivated to activate your own intuitive channel and experience the support it brings to all aspects of your life bringing you peace of mind and the innate sense of security, confidence and courage you deserve.